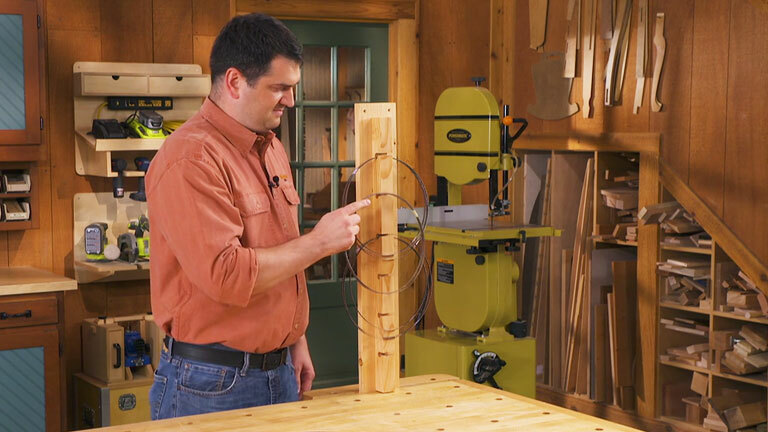 Coiled band saw blades don't take up much space. However, keeping them organized and easy to get to present some obstacles. Here's one clever way to get the job done.